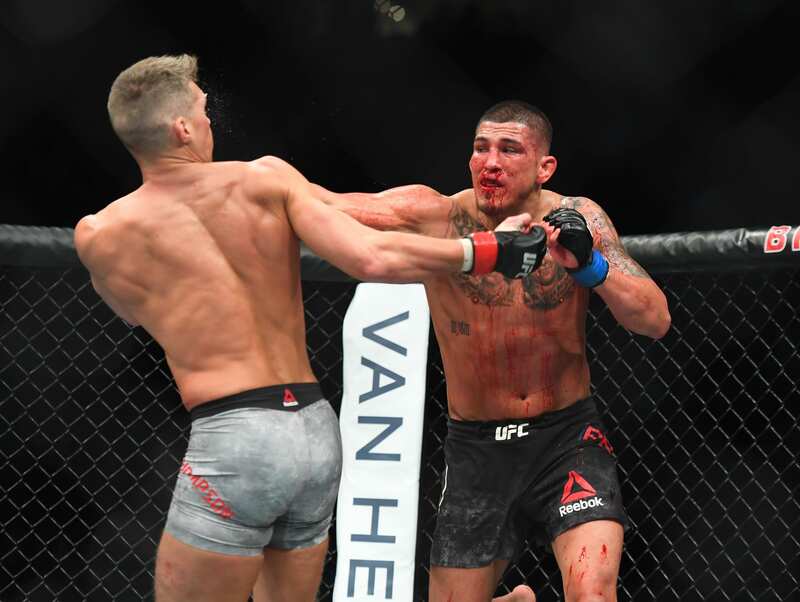 Former UFC lightweight champion Anthony Pettis made his welterweight debut against Stephen Thompson in the main event of tonight’s (Sat., March 23, 2019) UFC on ESPN+ 6 from the Bridgestone Arena in Nashville, Tennessee. For a while, that debut was not going so well. For the vast majority of the first two rounds, Thompson was able to largely control the action with his jab at range. 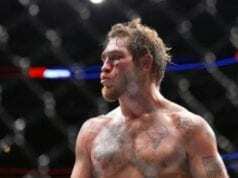 He repeatedly battered Pettis’ nose, causing his face to become a bloody mess. But towards the end of the second, the tables were turned. Pettis bounced off the cage akin to his now-infamous “Showtime Kick” of nearly nine years ago. This time, however, he utilized a punch to seal the deal.